Which one is good for future career? SEO or JAVA? SEO or DOTNET? Is SEO worth like a Software field? SEO vs Software Developer? These are some of the questions I have been getting as comment in my previous post. Instead of answering individually I’m writing this post. “Carrer in SEO vs Career as Software Developer (Java,.NET or other programming Languages)"
Don’t compare any field based on Salary alone, rather ask your field interest yourself and do what your brain and mind saying. Since I have more interest in this field I got good salary, if I go to development I may not have interest and my work performance will be low and there are more possibilities for job termination from the organization. Actually if we compare the salary of SEO vs Software developer, SEO would be low but if we have better interest and knowledge we will get higher post in this field itself. Because In so many MNC’s like Infosys, CTS etc they are having SEO in their organization. Not in the exact name of SEO but as Digital Marketing they have job vacancy, so you can shift to those MNCs for better package as Senior SEO Analyst, Team Lead or Manager. 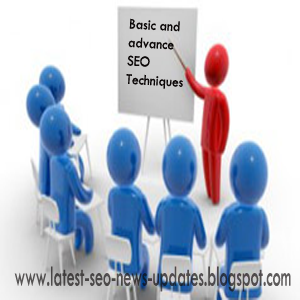 Learning is very easy in SEO when comparing with Development. Since we are Search Engine Optimizers we know how to search in Google to get exact answers for my doubts, but for other field people it’s somewhat difficult for them to search the exact result. Understanding is easy in SEO than other fields. No coding complexities are there in this field. We can easily learn SEM, SMO and Digital Marketing in this field which are having good future career. This post contains some basic SEO interview questions and answers for freshers. Learn all these questions and answers. Search engine optimization (SEO) is the process of changing the position of a website or a web page in a search engine's search results (Organic or Natural results). On-page optimization is one of the types of SEO that refers to factor that gives outcome to a website or web page ranking on SERP ( Search Engine Results Page ). On-Page Optimization means controlling a webpage by you or by your page coding. Some of the examples are HTML Code, Meta Tags like Meta Title, Description, Content Quality, Keyword Density, Outbound Links, Image Alt tag etc. Off Page Optimization is also one of the types of SEO that are not controlled by the page coding. Examples of Off-page optimization Link building, Blog posting, Image Sharing, Document Sharing, Video Sharing, Info graphics submission, Increasing Page Rank and Page Authority, Article submission, Getting high quality links from relevant sites etc. What is Page Rank or PR? Page Rank is a rank that has been provided by Google for each and every Webpage. This Rank ranges from 0 to 10. This Page Rank is calculated by an Algorithm used by Google Web Search Engine. PR of a web page is based on the number of backlinks that received from other high PR webpage. Backlink means incoming links to a website or webpage. Inbound links are always better than outbound links. Those links are also known as incoming links, inlinks, inward links etc. Getting backlinks from high PR and relevant site is always good. Inlinks from .org, .edu sites would increase your website or webpage ranking on SERP. Do-follow links are better than No-follow links. An outbound-link (OBL) or outgoing link is a link from your website or webpage to another website or webpage. Keyword is a word that is used for searching through Search Engines in order to get results related to your searched query. Keyword density is the percentage density of a keyword or phrase available on a webpage compared to the total number of words on the page. It is one of the important ranking factors for search engines to display a webpage on the SERP. Providing junk keywords on a page would decrease the ranking of a webpage. Anchor text is a clickable hyperlink that is also known as link text, link label and link title. The keyword contained in the anchor text would increase the ranking of a webpage that receives the incoming link. The page views come directly through SERP and not through any Off Page Optimization is known as organic results. Googlebot is the search bot software used by Google to index a webpage. Crawling, Caching and indexing of a webpage happen through this Googlebot by collecting details from that webpage. There are several Meta tags used in HTML but the top four tags that are used for SEO are Meta Title, Meta Description, Meta Keywords and Robot tags. Title is the most important factors for a good SEO of a webpage. These tags should be located within head section. These tags should tell some useful information about that page. A good title tag should contain 60 characters. These titles would appear on the SERP for your website along with the Meta description of that page. Google won't penalize your page if it contains title with more than 60 characters and it skips the remaining characters. If a web page doesn't contain title tag means Google would select the H1 tag as title or it will provide the title by its own. Always write title tag for the page and not for SEO, if you stuff keywords in you title then Google won't rank your webpage. A description tag should describe a webpage and it should contain keywords but don't stuff all the keywords. Meaningless description would affect your webpage. A description tag should contain 150 – 160 characters. If you provide meaningless or empty description, Google would take the description from the content available in that page. In early days Meta keywords are the least important tag for Search engine like Google. But it is an easy way to tell our important keywords to search engine. Meta keywords should contain less than 250 characters. Now Google won't consider Meta keywords as one of the ranking factor. White Hat SEO is one of the SEO techniques that a Search engine always likes. Usage of SEO techniques, tricks and tactics by following search engine rules and regulations, algorithm and policies are known as White Hat SEO. Getting backlinks from spammed or adult sites. Getting too much backlinks from a single page with different anchor text that targets a single page of your website. 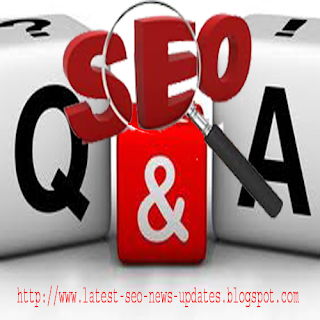 The hottest and latest news in the SEO world is Google Rolled out penguin 2.0 webspam algorithm Update on 22-5-2013.This would be a good news for some peoples and bad for more peoples. The entire SEO analyst those who are managing websites would like to escape from Google Penguin and Panda update but it is not at all possible. Even though Google has been adding strength to their algorithm and updating frequently, negative SEO is not decreased. Google Penguin 2.0 Update focus on the web sites that follows link farming methods and poor inter/cross linking strategy. The websites that are getting irrelevant Backlinks is the main target in this update. Matt Cutt announced that 2.3% of English-US queries were affected in this update, not only English queries but other languages also. Hundreds and thousands of web sites were affected in this update. How to retrieve your website? Now all of the SEO peoples wondering to know the ways to retrieve their web site. I can easily say the ways but the process is really hard. These are some steps that you have to follow. Step2: Check all your outbound links and remove all low quality links. Go to your website and analyze each and every page for irrelevant and bad links. Check your footer, Side bar also. Step3: Generate Quality Links from High PR sites. Because Google now concentrates mainly on number of quality Backlinks and not on quantity of Backlinks i.e. 1000 Back Links from irrelevant site is not at all good for your site but getting single backlink from relevant high pr site is good. Try to get backlinks from .gov site and .edu or .org site. Submit your sites in directories like DMOZ and Yahoo Directories which are the top most directories in the world. All try to submit your websites on Boing Boing and Huffington Post etc. By doing all those things you can retrieve your website in the next Penguin update. Please don’t try to use reconsideration Request. Because google didn’t manually penalize your site but it is an algorithm Updation so wait until next Updation comes.